Experience great homemade meals with fine local ingredients at great value prices. 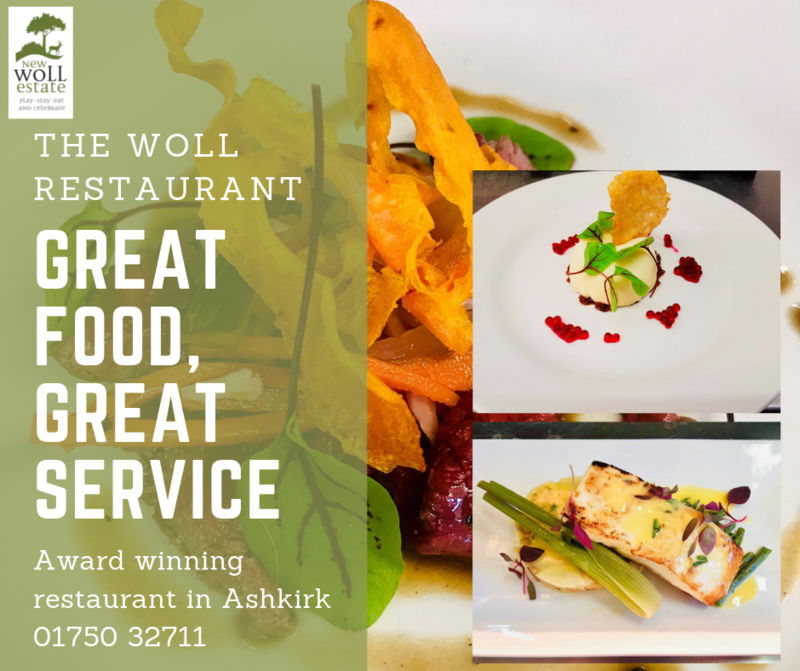 The Woll Restaurant is family friendly and welcomes children with its extensive kids menu. We serve everything from Bacon Rolls, Coffee and homemade scones in the morning, Lunches and Snacks throughout the day, followed by Dinner in the evening - 7 days a week. We also offer great value golfers meals throughout the day for outings and corporate days. Our Head Chef & his team produce exciting menus using many local products from the Borders. We only use Scotch Beef, Scotch Lamb and the finest Haddock, Salmon and other fish and sea food from Eyemouth. We hope you enjoy the experience and savour all the fine Scottish produce. So why not come and join us for an enjoyable dining experience.